Owing to our expertise in the concerned domain, we are engaged in manufacturing and supplying a wide range of Cricket Safety Guard. - Widely used for safety purposes. As a foremost business name, we are exquisitely occupied in the realm of presenting to our privileged clients a world class Cricket Batting Pads. - Very light weight cross link foam padded legguard with traditional cane front. 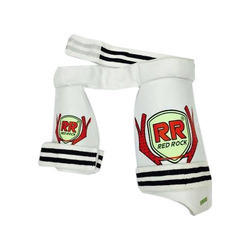 Specifications We design and develop leg protector also called as leg guard to meet the safety requirements of clients. - Premium Quality Indian PU facing. - Super thick high density detachable towel laminated padding for extra protection. EVA Moulded, Two stripes at back, back padding done with colourful fabrics, attractive look and Light weight approx 1 kg, both pair. 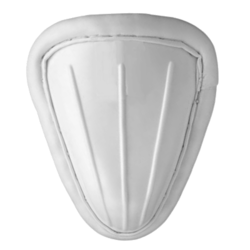 With an objective to fulfill the ever-evolving demands of our clients, we are engaged in offering a wide assortment of Cricket Leg Guard.